Carryoncouple thanks you for helping our blog travel to new territory in 2018. Our site has recorded nearly 5,300 views this year, surpassing our record from 2013, when we walked the Camino de Santiago. Your interest in our Way of St. Francis trek this spring exceeded all our other trips, including 181 in one day. Since our kickoff in 2012, carryoncouple.com has recorded more than 25,000 views in 119 countries, led by the USA, the UK, Canada, Australia and Italy. We await someone in Antarctica to extend our reach to every continent. What is our most popular post? It comes from our 2012 visit to Verona, Italy. Pictured above, our post about the Basilica di San Zeno still attracts views and has been seen nearly 700 times. Here’s to Word Press, to nearly 400 followers, and to many more adventures! 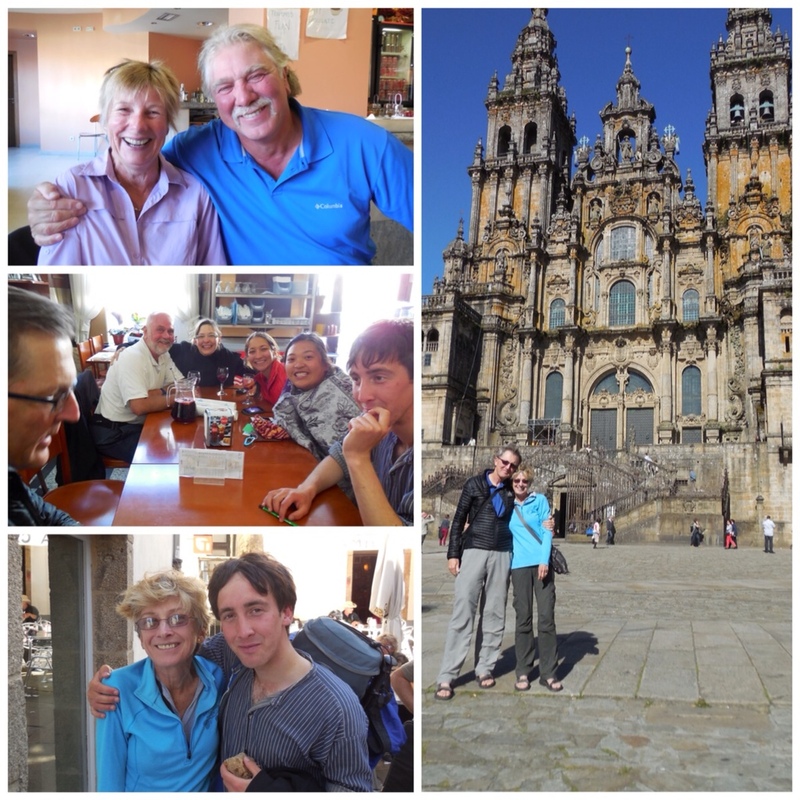 Reg had been tracking the whereabouts of Lydia Smith's documentary Walking the Camino – Six Ways to Santiago for months, hoping to locate a showing close to home. 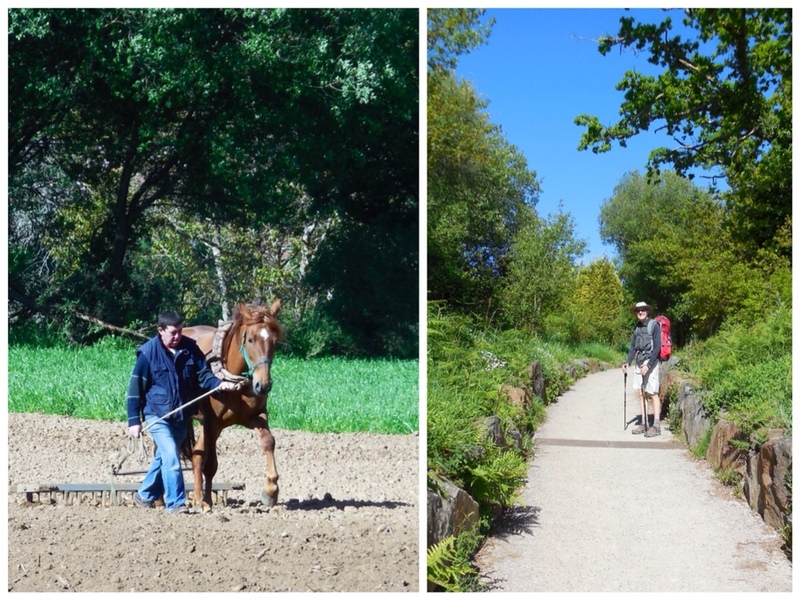 It has been nearly a year since we set out on our own life-changing adventure along the Camino Frances, so we were anxious to revisit our memories. 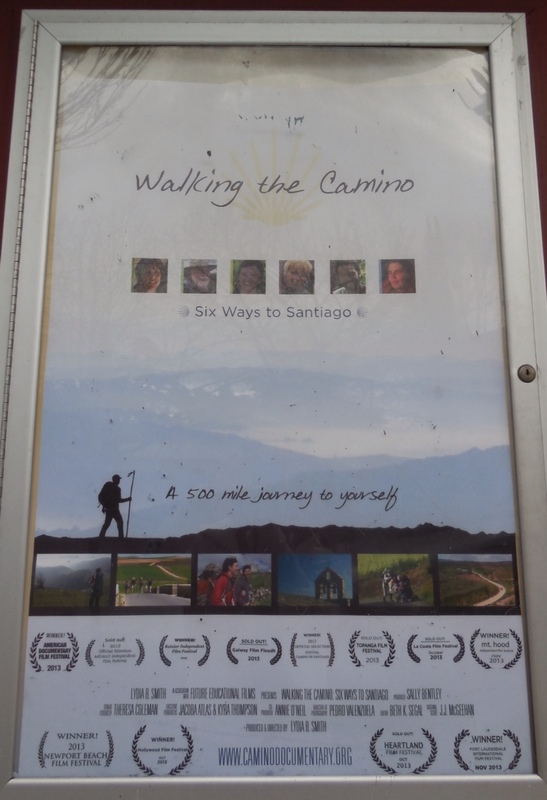 The film documents the journey of six very different individuals who have unique reasons for making the 500 mile trek along the Camino Frances. Would we recognize ourselves in any of these pilgrims? Would they experience the same joys, the same doubts? Would they overcome obstacles, both real and imagined, and conquer their fears? We were eager to find out! The pageant Theater is a Chico icon. Mid February found us seated at the Pageant Theater in Chico, California, awaiting show time. As the lights lowered, we found ourselves transported back to the Spain we remembered, spellbound as the individual stories unfolded. The scenery was breathtaking. 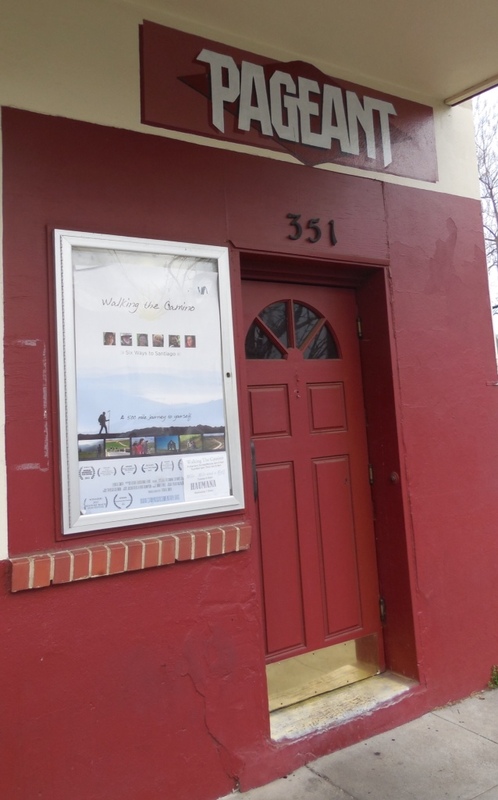 Based on our experience, the documentary presented an accurate picture of life along the Camino. Through a series of honest and often emotionally raw interviews, we watched the pilgrims push forward through their good and bad times, all determined to complete their journey to Santiago. Because no two journeys are alike, the film won't be a spoiler for anyone planning their own Camino. It will, however, serve as an inspiration to those who seek personal fulfillment along this centuries old path. Buen Camino! 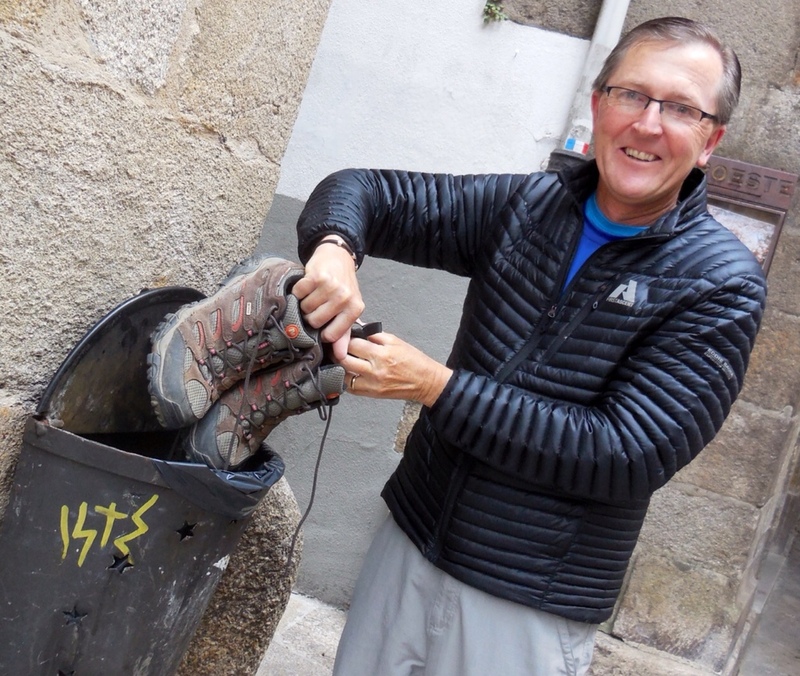 I left my well-worn hiking shoes in Santiago. In medieval times, Camino de Santiago pilgrims burned their clothing at a cross outside the cathedral. They bought new clothes at the nearby marketplace, signaling a new beginning. I dumped my Merrells in a trash bin. There was part of me that wanted to keep them, but I realized I was already taking enough back to California. Camino friendships, amazing scenery, the Spanish people and so much more will be with me forever. I walked nearly a million steps in my trekking shoes. But the things I brought home are immeasurable. If you have a sweet tooth, don't miss the Chocolate con Churros while in Spain. It will surely bring a smile to your face! What could be better than chocolate to soothe the leftover aches and pains of the Camino? Prior to leaving, my friend Annie recommended we try the hot chocolate while in Spain. ” It's like drinking a melted Hershey bar,” she wrote. 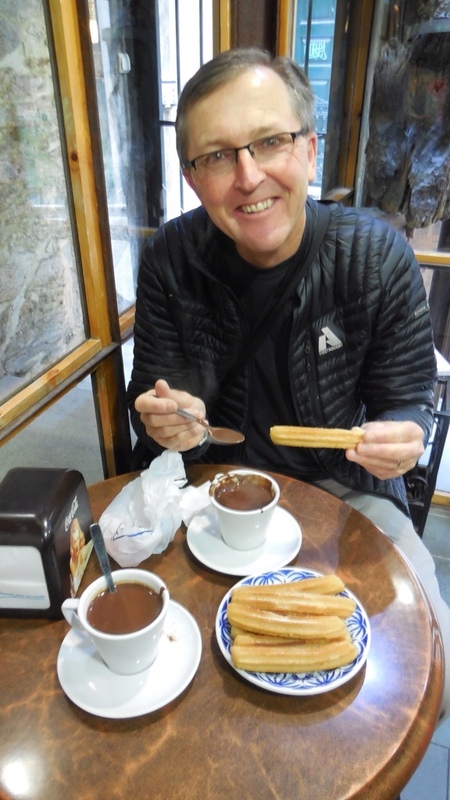 When a light rain began to fall this morning, we ducked inside a Santiago bar for a double order of Chocolate con Churros. With a renewed source of energy, Reg and I sped off for a tour of the cathedral and adjoining museum. We continue to bump into Pilgrim friends from weeks ago. This morning we greeted the brother/sister duo from Texas and then an Australian woman we shared dinner and lodging with way back in Carrion. We're on the lookout for the arrival of two more Pilgrims here in Santiago, and then I think we will have reconnected with most everyone we've spent time with along the way. Sue and I sat with New Zealand friends Geoff and Sue for the Pilgrim Mass at the Santiago Cathedral. Seats face the altar from three sides. The giant incense burner is above the altar. 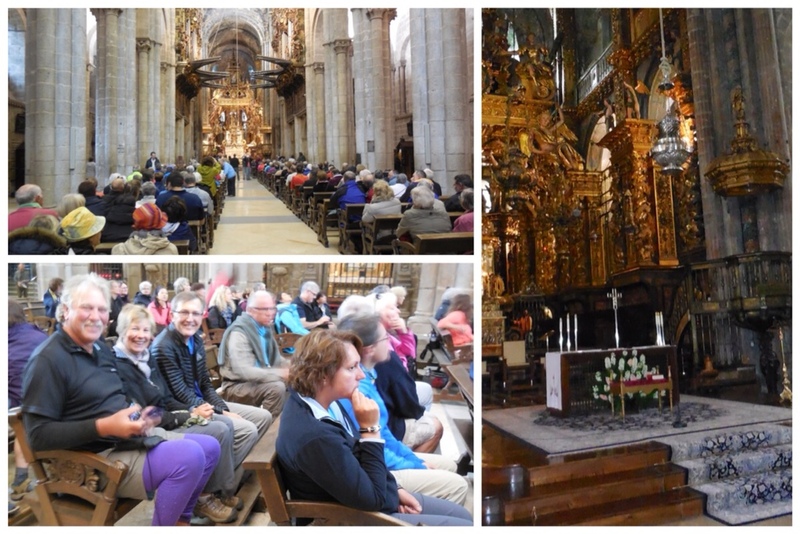 We joined about 1,000 at the traditional Pilgrim Mass at the Santiago Cathedral Tuesday. It was a moving ceremony, highlighted by the swinging of the giant incense burner (Botafumeiro) by six robed attendants. They pulled on ropes strung over a pulley high above the altar. We sat close to the altar, under the path of the burner, which was originally used to fumigate smelly pilgrims. A nun's pure, angelic voice and a massive pipe organ filled the cathedral with music. Catholic pilgrims received communion. Pilgrims from all over the world were welcomed. It was a heart-felt punctuation mark for our Camino de Santiago. We hadn't seen New Zealanders Sue and Geoff in a week until they caught up with us last night. It had been over two weeks since we chatted with this group of Canadians and Americans. I shared a quick hug with our 22 year old Irish friend. Reg and I pose for a photo at the cathedral in Santiago. This morning was different. As we tied our shoes and struggled into our backpacks, we knew this would be our last day of walking. 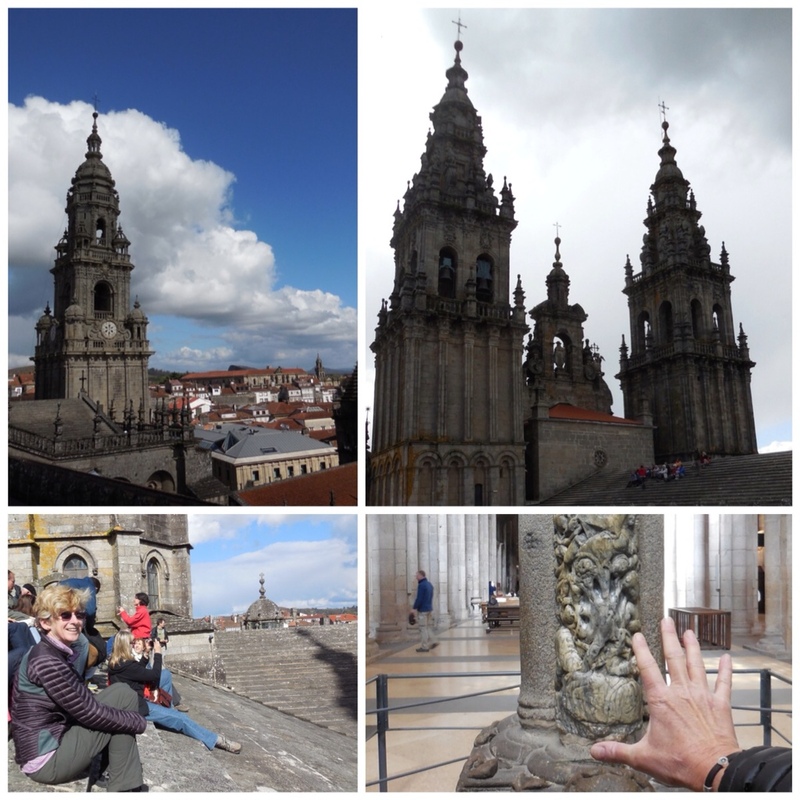 Reaching Santiago was always the goal…until we started the Camino. 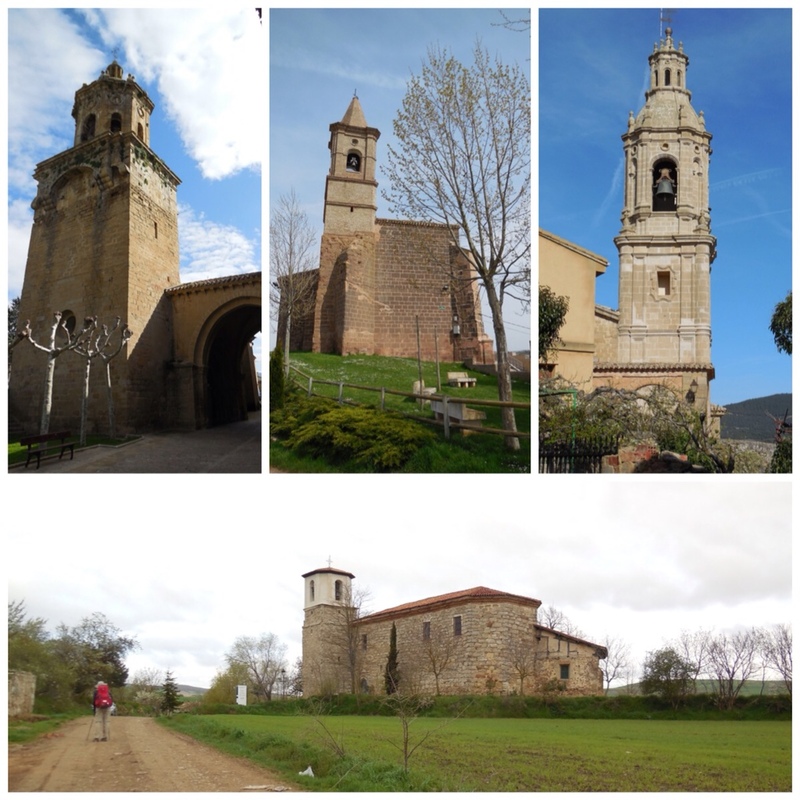 I think we realized, after our first night in the Albergue outside of Pamplona, that this journey would be about so much more than simply reaching Santiago. We've each had our struggles; everything from blisters to coed bathrooms (it's true!). The Camino tests everyone, and spares no one. But at the end of each day there is a bed (usually warm! ), a meal, friendly conversation and laughter…and an eagerness to get up and do all again the next morning. We walked into Santiago this afternoon with a mixture of joy and sadness. We had done it! But now what? That is the question we Pilgrims are asking each other as we prepare to go our separate ways. They've served as our guideposts for the past four weeks. Most often perched upon a hill, signaling yet another climb up to a new village. Mostly we've simply admired them in passing, sometimes peeking inside when the opportunity allowed. Often they have marked our destination for the evening. 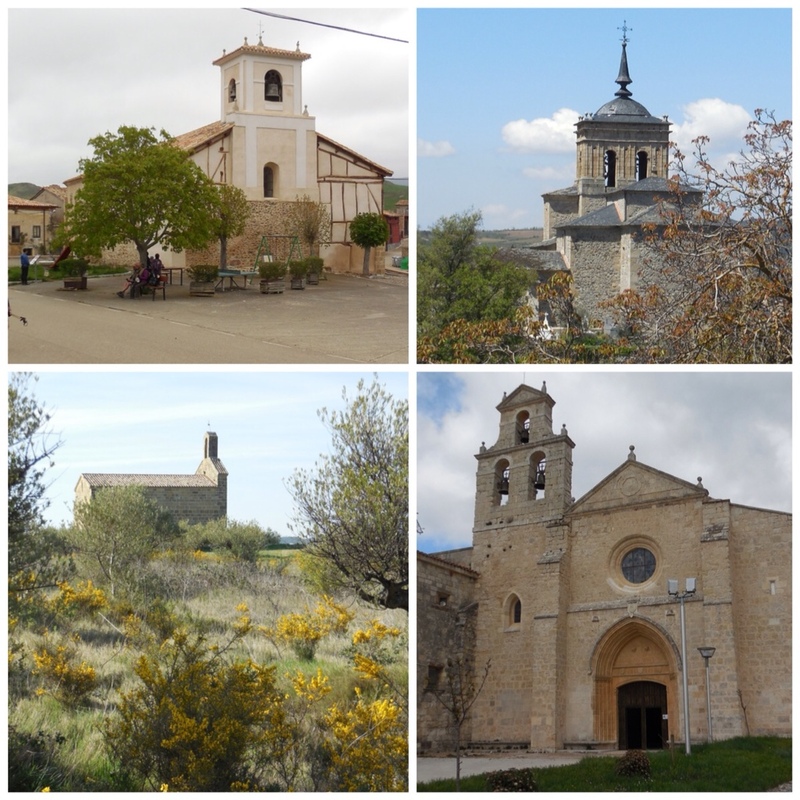 The churches of the Camino are as varied and beautiful as the people and landscapes of Spain. They remind us of the true path of the Camino; a path we've felt honored to have traveled. Every city, town and village has a church. They're built in all shapes and sizes, each with a unique design. Often the church bells actually rang. Other times we found them to be recordings, but either way, the sounds add a unique flavor to the Camino. On a clear, crisp Mother's Day, we passed a farmer preparing for spring planting. We are staying in our last albergue, just 12 miles from Santiago! The people: The Spanish people have been most welcoming, kind and helpful. Music: There is a strong Gaelic cultural influence in northern Spain, particularly in the Galicia region in which we have walked the past few days. Saturday night, a nearby city had a bagpipe festival. At dinner Saturday, the music playing in the restaurant reminded us of music played during a Scottish ceilidh. More music: Bruno Mars songs are often played in bars and restaurants here. Day packers: During the last week, we have seen more and more people having their luggage or backpacks shipped ahead to their next stop. There are services that will do that for about 7€ a day. Crowds and heat: We are glad we came to the Camino in the spring. Green hillsides, flowers everywhere, and a lack of crowds (until we neared Santiago). It would be an entirely different Camino in the summer, when the number of pilgrims quadruples (or more) and temperatures soar. Climbing: There have been steeper and more frequent climbs and descents than we anticipated. We often gained 500-1,000 feet in a day. The most for us was 2,400 feet. Much of the trek has been between 2,000 and 3,000 feet in elevation. This builds endurance, though, especially when carrying a 20-pound backpack every day. We push up the mountains much faster now than we did the first few days. Cool trip: Temperatures for our trek have been cooler than we expected. We have had just a few days over 70 degrees. Most have been in the high 50s or 60s, some never reached 50. Good walking weather almost the entire trip. Cuckoo birds: For evermore, we will think of the Camino every time we hear a cuckoo clock go off. The bird is ever present here and greets us daily, especially during the chilly mornings. Bars: Oh, how we will miss the Spanish bars! 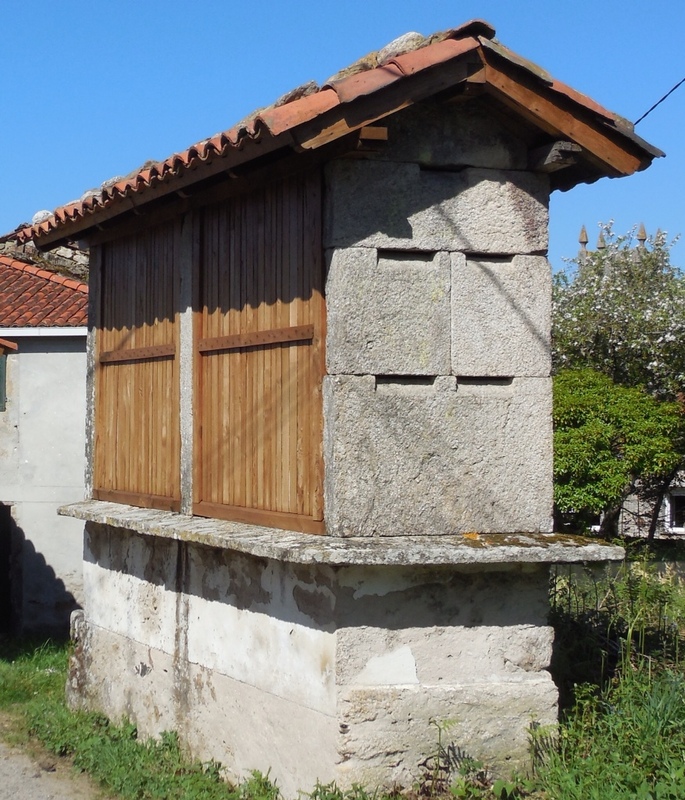 They are a regular oasis along the Camino, offering a rest stop and bathroom break along with coffee, toast, sandwiches, pilgrim meals, drinks and much more. Many, many pilgrim friendships begin at the bars. People most often sit outside to watch the Camino go by. Some property owners renovate their old Horreos, while others have new ones built just for show. Congratulations to Jamey who guessed drying shed! These “unofficial symbols” of the Galicia region of Spain are known as horreos. We were told they were used to dry corn and sure enough, when we peeked inside we saw corn. Traditionally, farmers stored and dried grain within the horreos. Sadly, they no longer offer practical storage for modern day farmers, but horreos remain popular with landowners who feel they are a valuable historical feature.